Frederic Harrison described the trade-union movement as 'one universal protest against injustice from the whole field of labour'. This identification with the general working-class movement (although very common) may be highly misleading. It probably arose from the fact that typical ignorant upper-class opinion during the 19th century was quite unable to appreciate the complexity of the social and economic tendencies operating among the 'lower orders'. To them, there was only one working. class - an inferior class that, led by demagogues and agitators, was trying to usurp political and economic power. Apart from the economists, a few enlightened industrialists and a few philosophers, they had a vague belief that the drudgery of the masses was necessary for the leisure of the few, that their subservience was the natural order of things, and that low wages were good for trade. They were very glad to have it on the authority of the economists that these evil and rebellious combinations were ineffectual. monopolistic tendencies on the part of unions, but the general impression they leave is misleading for they have obviously written as union advocates. However much we may admire their History - a monumental achievement which it would be presumptuous to praise - we must remind ourselves, whilst we are influenced by its thoroughness and manifest sincerity, that it is yet the special pleading of those who have devoted their lives to the encouragement of the institution whose development they were recording. Such gains were always 'at the expense of the equal right of the industrious to acquire skill and to exchange their labour where and how they may.' This is 'the founder of scientific Socialism' speaking - not an employer. 'Will they then resort to force,' he said, 'law supported as to apprenticeships or illegal as to intimidation - in all cases equally hateful - to put down the competition of the great majority of the industrious and thus erect a bloody - for force will lead to blood and without blood no aristocracy can be supported - aristocracy of industry?'. Apart from the Malthusian aspect, this argument seems to be a fair representation of trade-union opinion at the time Mill wrote. 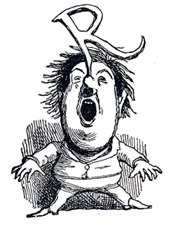 'The wretched knobstick…is jeered at and snubbed on all possible occasions…he receives none of those little aids by which the other men lighten one another's labour …he is generally an inferior workman, and his work receives its full due of criticism; he is an outcast, a pariah, and fear of personal violence is not required to render this position a wretched one. Some societies will not allow him to work in the same shop with their members, even as though he tainted the air…Odd as it may seem, the knobstick takes much the same view of his position; he feels himself a sneak…He is unskilful, poor, weak and a traitor (for attempting to undercut); they are skilled, rich, strong and noble; yes, even when they morally kick him.' (Fleeming Jenkin, 'Trade Unions', in North British Review, 1868, reprinted in his Collected Papers. Compare Webb, History, p. 296). Mill's attempts to justify exclusiveness did not pass without criticism. 'After all,' said Dr Stirling, 'the knobstick is not an outlaw, to be cut off from personal freedom and the protection of the law. He has his rights like his betters; and though too often treated like the leper of old, his chief offence is, after all, his poverty. (Stirling, 'Mr Mill on Trades Unions', in Recess Studies, 1870, p. 330). And T S Cree, referring to the Malthusian backing to Mill's argument, remarked that Malthus 'never proposed the destruction of the weak by the strong, in order that the latter should have more to divide'. Until they obtained political power the great mass of the labouring classes had few friends outside their own ranks. Apart from the fact that there were no classes below them whom they could exploit, by exclusion, they could not afford the luxury of unions or any other societies; nor could they pay leaders. Organisations of labourers offered no careers to competent organisers until well on into the 19th century when the course of economic progress had greatly increased their resources. Thus we find that the Chartist Movement, the most prominent genuine working-class movement of the earlier half of the century, received little support from the unions. Their apathy brought fierce denunciation from Feargus O'Connor. 'Never,' he wrote, 'was there more criminal apathy.' The denunciations of Daniel O'Connell went much deeper. He condemned in the severest language not only the existing practices of the Irish unions but also the essential exclusiveness of all attempts at the regulation of wages by combination.' The reply of the London Trades Combination Committee to O'Connell was hardly repentant (Combinations Defended, 1839, p. 42). In more recent times the old antagonisms still occasionally apparent. When at length, owing to the growth in the economic and political power of the masses, unionism began to extend its ranks the hostility to the older interests was obvious. John Bums, in the 1890s, was contemptuous of existing unions. 'Mere middle and upper class rate-reducing institutions,' he called them. The 'Dockers' Strike' which he organised heralded a new era which brought into trade unions workers in unskilled occupations. This led to a rapid expansion during the late 1890s and the early part of this century, during which period the earlier tendency to hostility tended, for many reasons, to die down. Not that the opposition of interest had gone. In the 1890s exclusiveness still had its unashamed apostles. Miss Clementina Black admitted that no doubt trade unions did 'tend to make the battle of life harder for the incompetent and shiftless'. They tended, she said, 'to make a boundary line on the one side of which is the well-paid man in work and the other side the absolutely unpaid man out of work. But this, she argued, brought no real injury to the community (Contemporary Review, 1892). Nevertheless, as the proportion of organised workers grew the real antagonism between those with effective exclusive power and those without became more and more obscured. Some regarded the 'New Unionism' as a movement which completely superseded the old and exclusive system. "The Masses" have been as ready to group themselves in exclusive sections, according to income, as their "betters",' said H H Champion in 1890, 'and the greatest sinners in this respect have been the Trades Unionists. But of late a different feeling has arisen. (The Great Dock Strike, 1890). In America we see the same thing. From the IWW we occasionally get the same kind of protests against exclusiveness. And the French syndicalists have expressed themselves in almost the same words. But from the classes who, in modem society, suffer most from union exclusiveness we get the fewest protests. They accept quietly and un-questioningly their traditional economic inferiority. When the 'coloured' or 'native' workers in South Africa organise, or when women organise in countries which are racially homogeneous, we either find them establishing new exclusions or else adopting the principle of 'equal pay for equal work' - thus renouncing the only means in their power of discounting the prejudice against them as a class. Of course, organisation of such workers is sometimes necessary in order to get or preserve the effective or even the legal right to a trade. The exclusive policy of unions is not confined to the obvious method of visible exclusion by apprenticeship restrictions and the like. Every insistence on an artificially high rate will tend to reduce the number it will be profitable to employ. Those within the combination will still benefit at the expense of those outside. This method of obtaining monopoly is more pernicious than that of apprenticeship exclusion as it enables the monopolists to plead that they are acting in the interests of those whom they are in fact excluding. They can claim that they are raising the standard of living of the very ones whose competition they wish to eliminate, and even get the support of legal enactment to enable them to carry out their policy. The evil in labour monopolies lies not only in their driving the less fortunate to relatively badly paid occupations but also in their raising the cost of living to them as well. In view of the obviously purely monopolistic nature of workmen's combinations in their day, there is nothing surprising in the classical economists' failure to give much attention to the question as to whether or not the members of a union could increase their incomes otherwise than at the expense of other workers. An elaborate theory of collective bargaining would not have been much more than the merest academic abstraction in their day. long run and that no group of workers could gain permanently by strike action. This sort of thing was very comforting to the employers and the Press, and until the 1870s it was made use of in the most careless manner. The economists were said to have declared that combinations could not raise wages. If they were right the workers were fools. But surely what the economists (apart from their sophism about labour's disadvantage) had been saying or trying to say was that unions could not raise wages in general: it had never been explicitly denied that particular groups could, by combination, increase their own share of the wage-fund at the expense of others, although it was sometimes argued that such monopolies were bound to break down in the end through the competition of other workers (generally from abroad), or through capital being driven elsewhere. The inadequacy of the wage-fund conception allowed this careless thinking to persist - comforting employers yet having no effect in preventing strikes. But modern theories would credit unions with some power of benefiting their members without the exercise of exclusiveness. Let us examine how the various ideas contained in these modem theories came to be held. The distinctive ideas that lie behind still-persisting theories which seek, without defending monopoly, to justify collective bargaining, originated, as has already been pointed out, with Adam Smith. They arose in connection with the subsistence theory he put forward. Mr C M Lloyd, a leading advocate and historian of unionism, either does not realise this or is very ungrateful for it. 'The influence of manufacturers,' he writes, '…bore heavily upon Parliament…in 1776, this influence was reinforced by Adam Smith's Wealth of Nations, from which it appeared that the creed of unrestricted exploitation was really a new gospel for humanity. (C M Lloyd, Trade Unionism, p. 4.). This is a strange way of referring to one of whom it has been said: ‘[his] sympathies, indeed, seem to have been wholly with the industrious wage-earner, and especially with the poorest.' (Cannan, Economist’s Protest, p. 422.) To suggest that Adam Smith favoured low wages is entirely false. The suggestion is constantly reiterated that the classical economists generally 'defended subsistence wages'. 'Of all the libels upon them invented by socialist and semi-socialist writers,' says Professor Cannan, 'this is about the worst. They may have been, they certainly were, wrong about the causes of high wages, but they were always in favour of them.' (ibid., p. 423). The real evil in the subsistence theory lay in its hopelessness, and the attitude of self-pity and dependence which it tended, right against the spirit, of the age, to instil in the minds of the labouring classes.